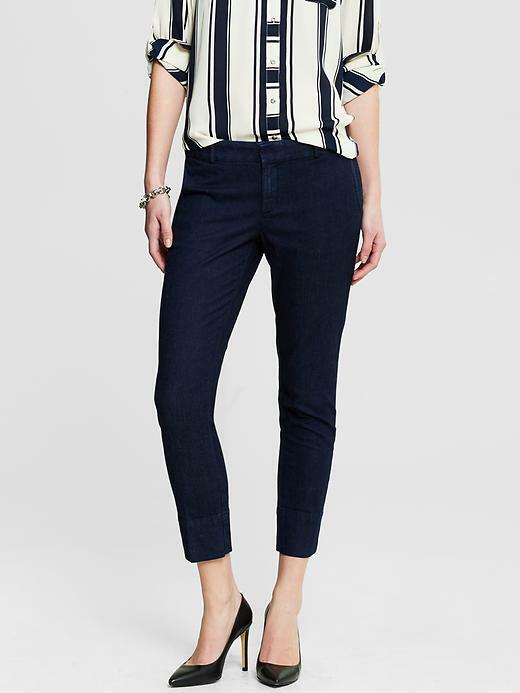 banana Republic hampton Jeans Our Hampton fit is a modern, versatile silhouette for work and play, in a flattering cropped length. Zip fly with button closure. Belt loops. Front off seam pockets. Back welt pockets. Sits below the waist. Straight through the hip and thigh. Ankle length. Inseams: Petite: 24"; Short: 24 1/2"; Regular: 26 1/2"; Long/Tall: 29 1/2".